How many times throughout history and present day are our, Black women's, inventions, discoveries, contributions made invisible by the cruel lens of racism, sexism, classism, homophobia, misogynoir? 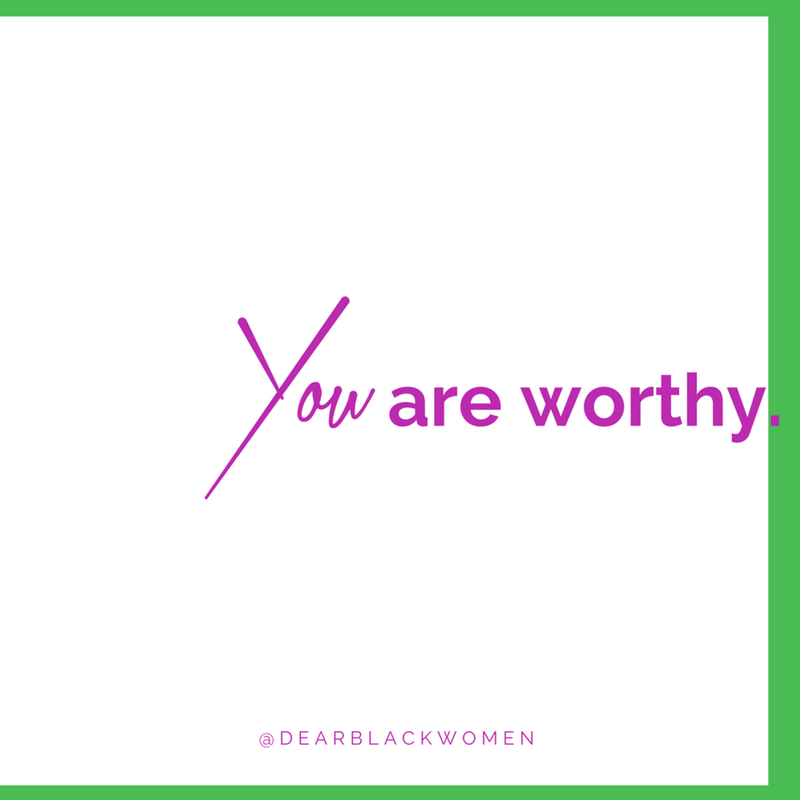 Dear Black Women stands in affirmation that we deserve credit for our genius. 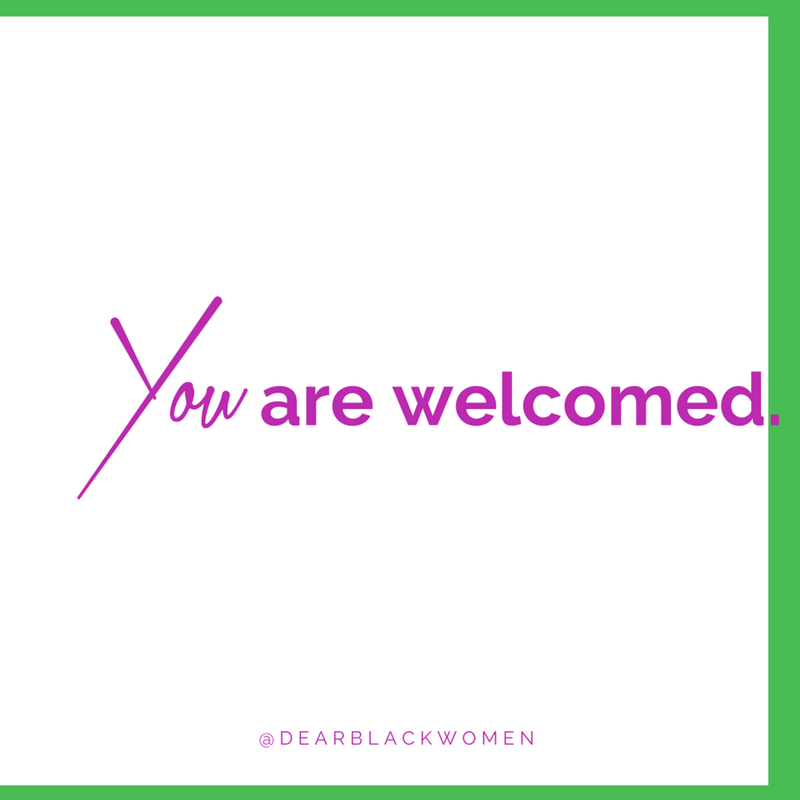 We speak the name of any Black woman reading this who has felt the pain of your voice being silenced, your creativity thwarted, your intellect underestimated, your perspective dismissed. You are not alone. 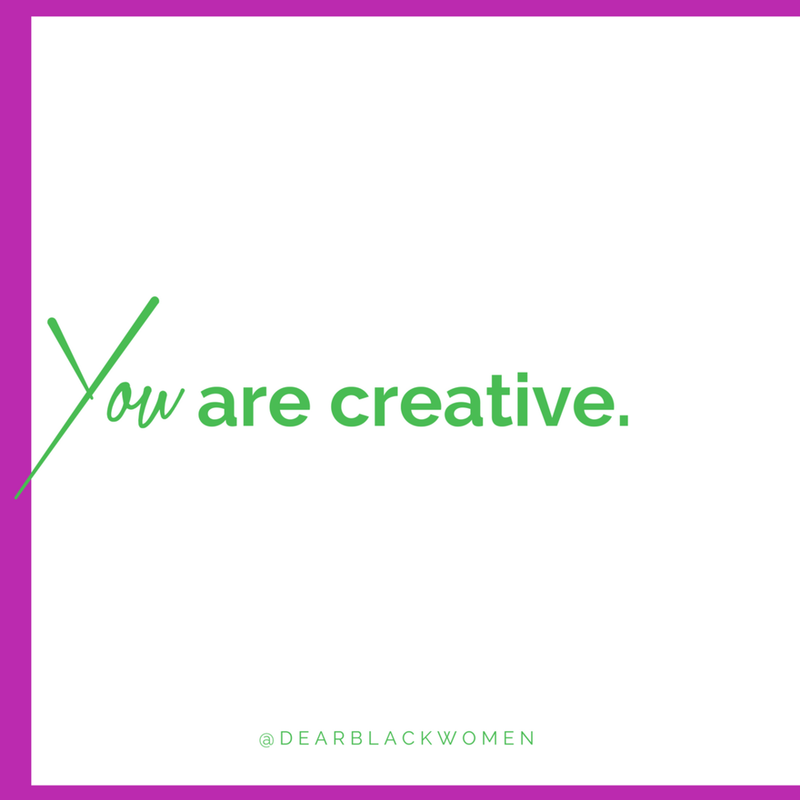 Whether you consider yourself an artist or not, you have creative powers. You can take things from your mind and manifest them into the world. From a child to an idea, you can bring forward life. You can find solutions where only problems seem prevail. You can invent paths where none are readily apparent. Hold up. Is genreless even a word? Hahaha! You feel what we're saying though! You can and do exist beyond categorization. There are parts of you that may not fall into the widely held assumptions about what you can be, but those things are still valid and real, because you are genreless and boundless. Far more than what meets the eye! Your perspective, your life experiences, your lessons, your wisdom, your being are necessary. You are welcomed to the abundance of you. You are welcomed to your genius and we hope that you can not only know it, but embrace it and marinate in it! We hope that your genius emboldens you and brings value to your life. Two times for Black women errywhere! Accomplished something dope in any field? Or know a Black woman who did. Share the Black Girl Genius with us. We want to celebrate!